The Barnes Mansion was built in the early 1900’s and was totally renovated and gut-rehabbed in 1997 with all new interior walls, floors, ceilings, wiring, fire suppression, plumbing systems, carpeting, appliances, etc. The grand entranceway features power-assisted iron doors. The exterior is stone with copper detail around the large bay windows. The front of this building overlooks a small park and brook which allows the sun to shine on the building all day. Located a few blocks from the Green Line’s Hynes Convention Center subway stop, connecting the Back Bay to downtown, the suburbs of Brookline and Newton, and many area universities. 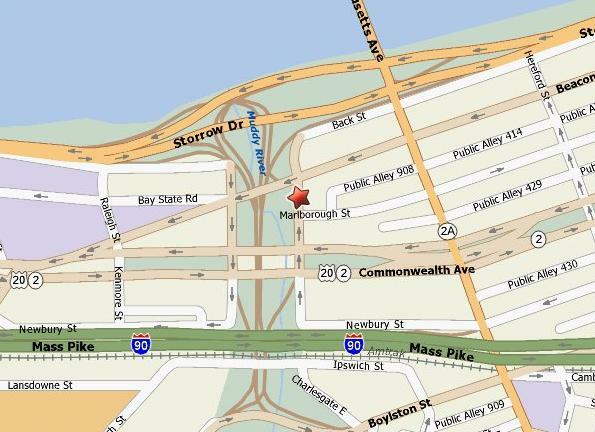 Just one block from the entrance to Storrow drive, a highway connecting the Back Bay to Interstates 93 and 90. Steps to the Charles River and the Esplanade. 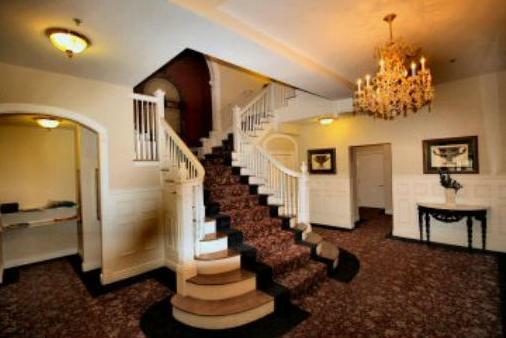 The lobby has beautiful detail, an elegant working fountain, chandelier, half bathroom, and a modern tiled elevator. 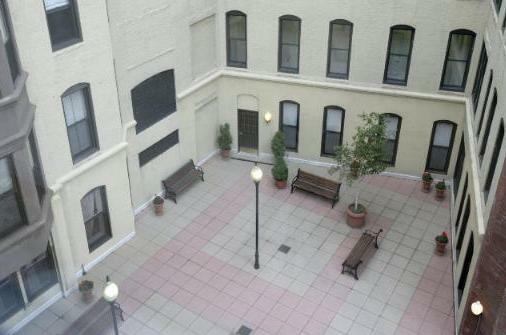 There is a large common courtyard appointed with plants, benches, tables and chairs. There are 24 total units in this building. A waste room is located on each floor, and optional recycling available. 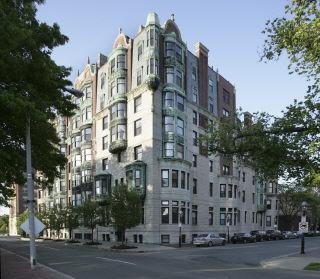 This building sits on the corner of Charlesgate East and Marlborough Street.